World No. 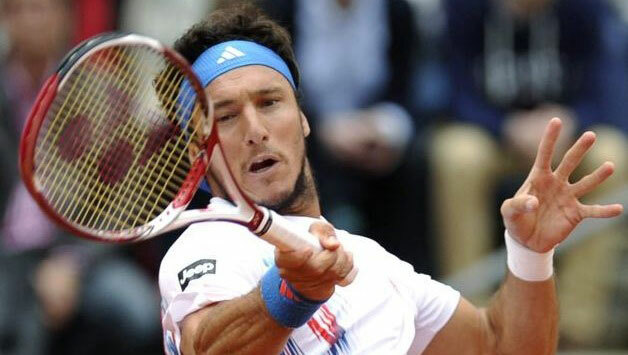 24 Ernests Gulbis and Argentina’s Juan Monaco will meet in the opening round of the Australian Open on Monday afternoon. The two athletes have previously met on four occasions, with Monaco leading the head-to-head series 3-1. This also marks the second time they meet in at the season-opening Grand Slam event in Melbourne. Latvian Ernests Gulbis began his 2014 season in Doha, where he defeated British Daniel Evans and Lukasz Kubot before succumbing to Rafael Nadal in the quarter-final stage of the tournament. It was a tough and competitive match, but ultimately ended in straight sets, with the Spaniard progressing to the semi-finals before winning the title a couple of days later. The 24th ranked Gulbis finished in the top 30 for first time since 2010 and managed to jump over 115 ranking spots from previous year. He also equalled his year-end best ranking of No. 24 and won a personal-best 37 matches, while capturing his third career title in Delray Beach. 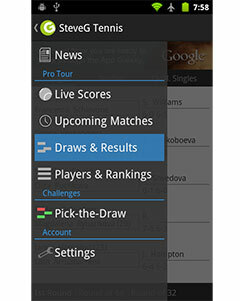 He will be looking to improve on his performances in 2013 with a strong start in the Australian Open. Former top 10 competitor, Monaco now finds himself at No.42 in the rankings at the moment. The Argentine decided not to take part in any of the ATP tournaments at the start of the year apart from the AAMI Classic in Kooyong, which was an exhibition event. It will be his first competition in 2014 but he lost both his matches at the event, to Jordan Thompson and world no. 2 Novak Djokovic. Monaco is yet to win a match since his victory over Nicolas Mahut in Winston-Salem last August and he will now be looking to snap his 6-match losing streak when he arrives in Melbourne to face the crafty Latvian. Monaco leads the head-to-head series 3-1 against Gulbis, including wins last year in Monte Carlo and in the 2010 Australian Open, which he took in straight sets. Gulbis’s sole win over the Argentine came in the 2009 Tokyo tournament, where Monaco was forced to retire in the second set. While the stats may appear to be in Monaco’s favour, Gulbis has performed at a far higher standard over the past few months and if he enters the tournament on form, he should manage to reach the second round in Melbourne.